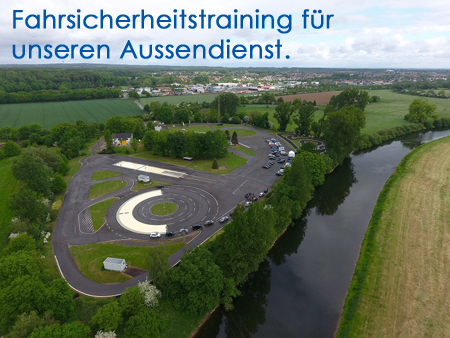 The well-known motto: “Safety First!” we have implemented in the last week with a driving safety training for our sales team. Of course, our sales people are traveling a lot by car, and outside the company building as well, we want to help to avoid accidents. 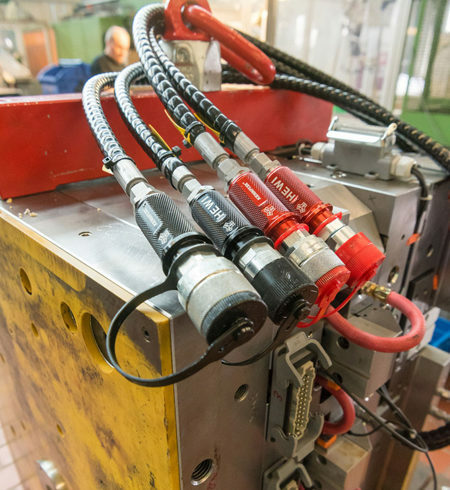 At the Fahrsicherheitszentrum Westfalen in Haltern am See the all-day training was carried out. 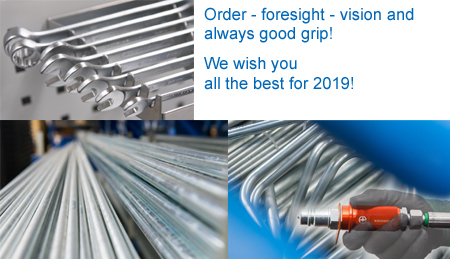 We wish you all a healthy and successful year 2019! Merry Christmas and a Happy New Year to all our clients, and friends! Like every year we are closed on Dec. 24th and 31th. 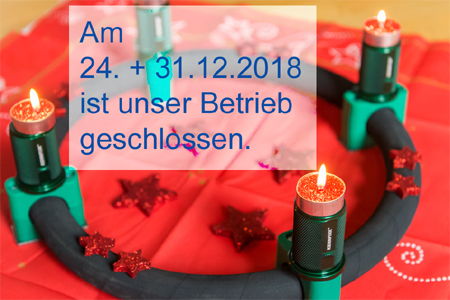 A very nice first Advent! 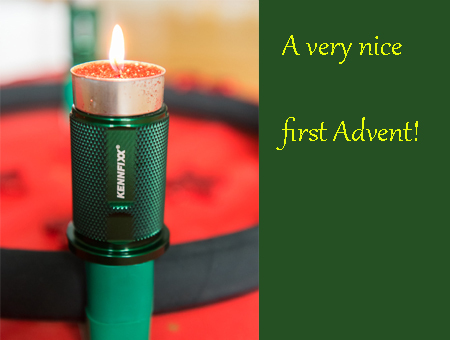 We wish all customers, suppliers and friends a contemplative first Advent. Our trainees are also active away from the company. Artem Lihanov, apprentice in second year trainee in wholesale and foreign trade, e.g. 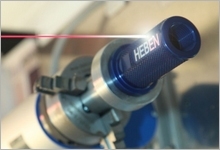 participates in the IHK initiative “Training Ambassadors”. “As a training ambassador, I talk about my personal experience during the training at school. My goal is to inform the students comprehensively about the apprenticeship profession and thus to help them with the vocational orientation. “Artem says about his assignment in the Louis Baare vocational college in Bochum Wattenscheid. The picture shows him during his lecture in the classroom. More information about the initiative “Training Ambassador” by clicking on the picture. 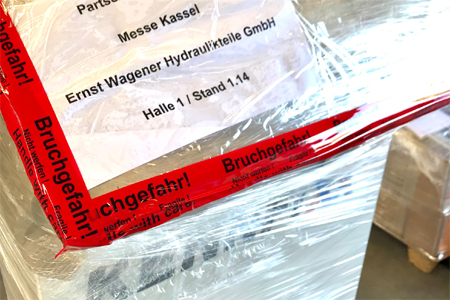 On the 13th and 14th of October 2018 the Parts & Service World in Kassel will take place for the first time. In order to ensure that our beautiful, new KENNFIXX(R) showpiece arrives intact, we made an extra effort in packaging. Do you want to see the whole thing without the wrapping? In hall 1 – booth 1.14 you are very welcome! 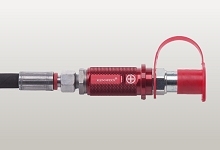 KENNFIXX (R) is also suitable for special applications. 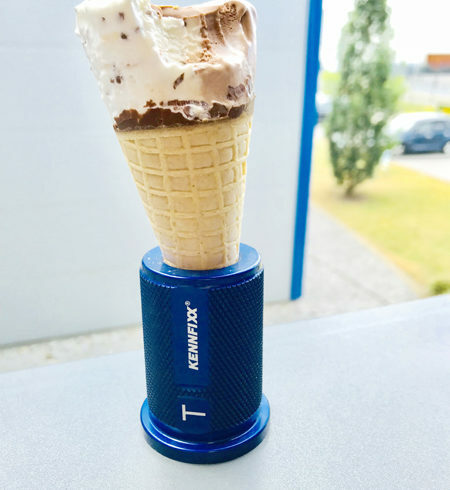 For example, when you have to stop eating ice cream in the office. No problem, thanks to KENNFIXX (R)! 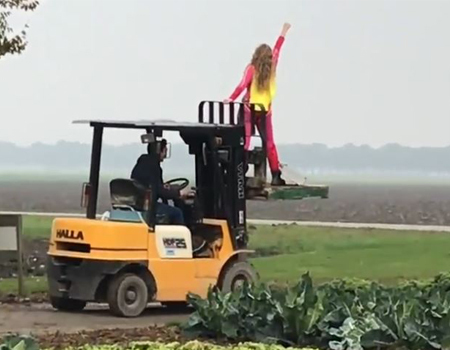 For this application we recommend size 4. KENNFIXX® is becoming more and more popular. 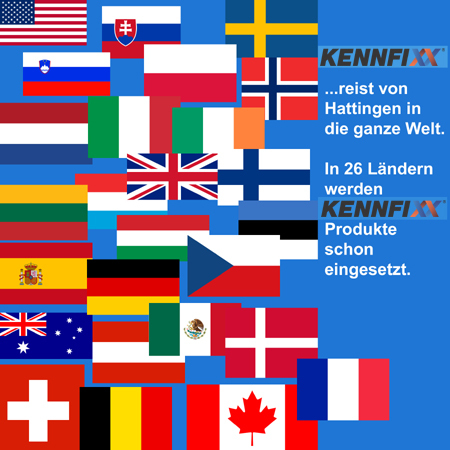 It really makes us proud that KENNFIXX® products are already in use in 26 countries. permanent marking. 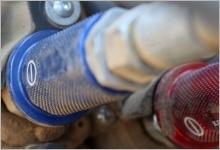 A quick and error-free tool change can thus be completed at any time.